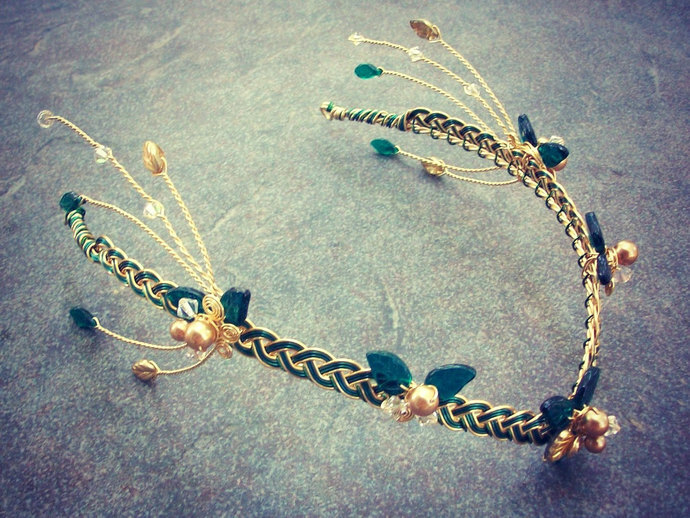 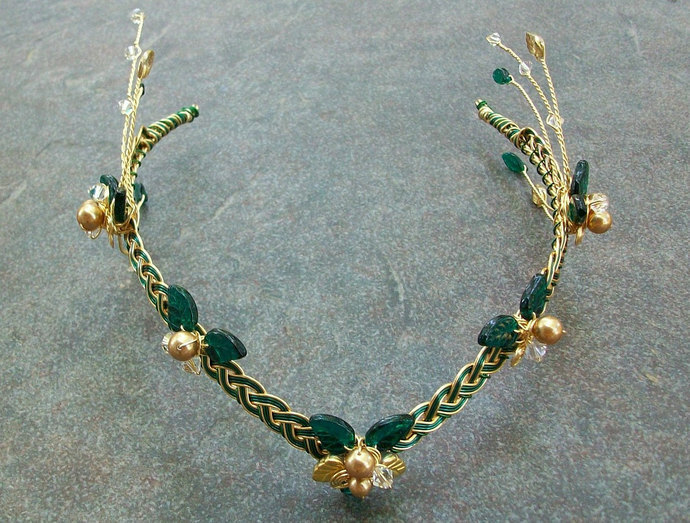 An elaborate elven headdress (circlet / tiara) featuring a crystal and czech glass starburst fascinator design at the side. 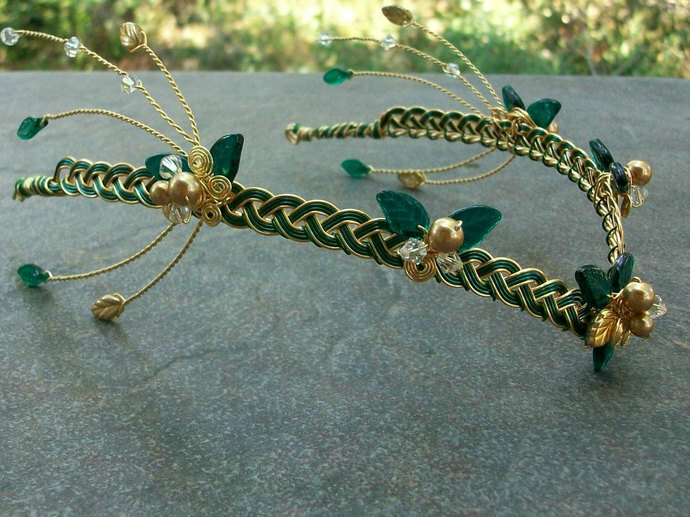 In green and gold on a Celtic weave base. 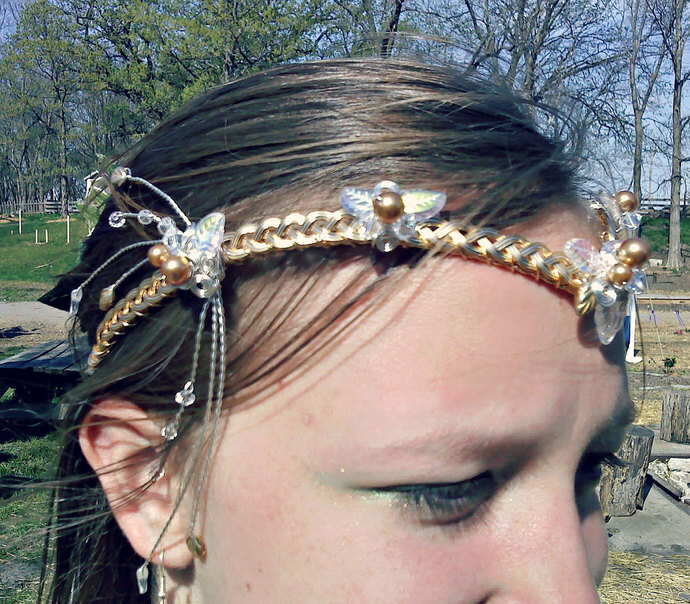 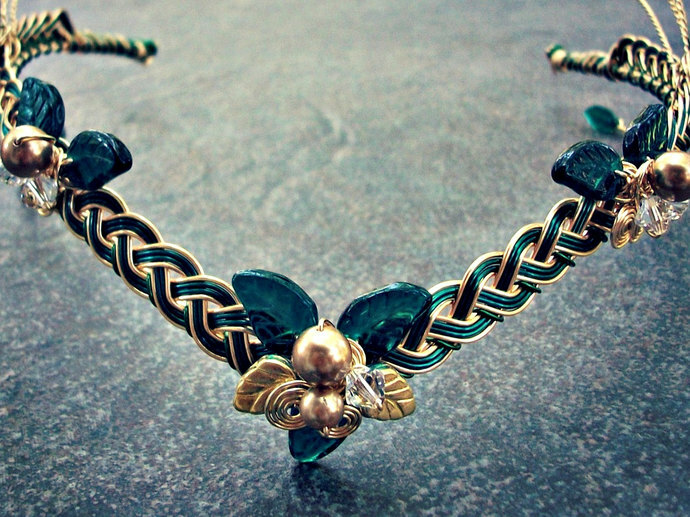 NOTE: For this circlet, the Butterfly will be GOLD with the green option and SILVER with the gold/silver option ...gold is a MATTE gold while the silver pieces are CHROME (shiny) metallic.